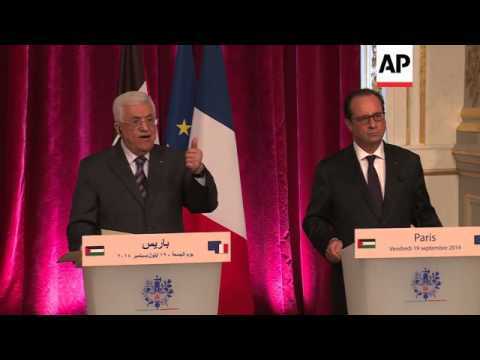 RAMALLAH (Ma’an) — Palestinian president Mahmoud Abbas on Friday expressed his solidarity and sympathy with France in a statement after a series of attacks left over 120 dead in Paris. Eight suspects involved in the attacks died, seven of whom were wearing explosive vests, France 24 reported. The French president declared a state of emergency for the first time since WWII following the attacks. The [so-called] Islamic State group on Saturday reportedly claimed the attacks as a response to France’s military activity in Syria. The militant group last month took responsibility for what appeared to be a bombing of a Russian plane that crashed in Egypt’s Sinai Peninsula.